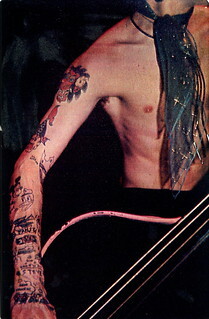 Leee Black Childers remembered going to a rockabilly show in London in 1977 while touring with the Heartbreakers as their manager during the “Anarchy in the UK” tour. 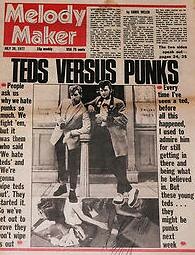 “When the lights went up, Teds suddenly descended on us and threatened to beat us up for being punks,” he said. “This kid, Levi Dexter stepped up and stuck up for us and we were saved.” Childers asked him if he had any friends, because with his looks he could start up a band. Levi recruited childhood friend Smutty Smiff and a few others and Childers became their manager. Johnny Thunders, the guitar hero of the Heartbreakers, went to their rehearsals and coached them on musicianship and stagecraft. They practiced diligently and a band was born. “Levi and the Rockats were the first young rockabilly band with Hollywood glamor,” said Childers. They were gorgeous. The band came to New York in 1978 and Childers set them up in Blondie’s vacated loft on the Bowery, where Television rehearsed downstairs – not bad digs for the new kids in town. Jerry Nolan, also of the Heartbreakers, joined them on drums, creating an extra draw. 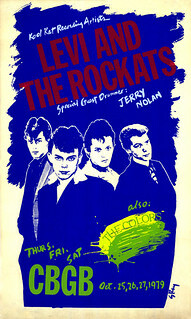 Levi left the band the following year but the Rockats continued to tour, blazing the trail for other neo-rockabilly and roots bands like the Stray Cats and The Blasters. They will be playing at Viva Las Vegas, the premiere rockabilly festival in America, next March. Levi Dexter still tours as a solo act and is releasing a new CD, “Roots Man.” Bandmate Smutty Smiff resides in Iceland and recently launched JS Sloane, a line of hair products for men. A Ted always has to look his best.